Right from the start, Atticus seemed determined to let everyone know that while he may be small, he has OPINIONS. For example, he decided at the last moment that he didn’t feel like being born at the birth center, as his parents had carefully planned. He didn’t want any midwives at home, either, and he didn’t really care for the idea of having a photographer present. 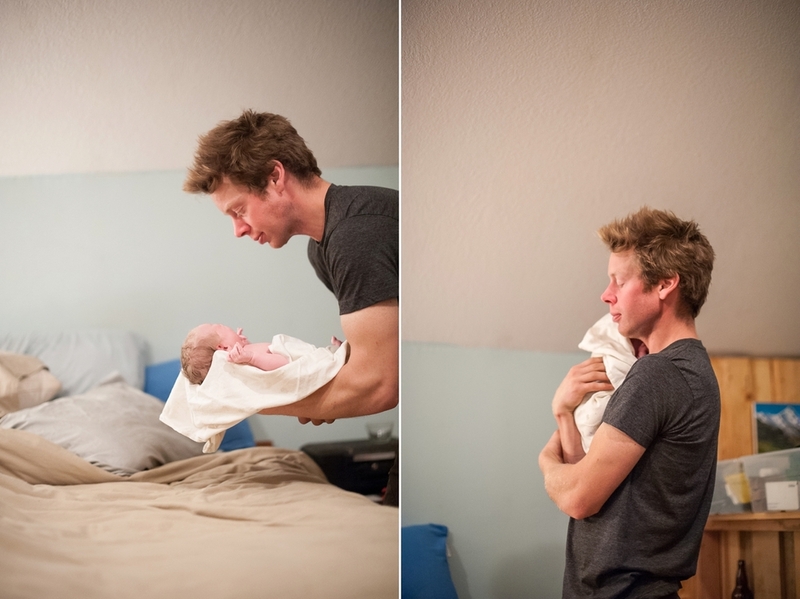 And so, ten minutes before midnight, on his due date, Atticus was born, at home, into the sure, calm hands of his father. Tricia had been in early labor for a good part of the day, but she wasn’t really convinced it was leading to anything; around 9 pm she texted me to say that she thought things might be slowing down a bit, and she was hoping to sleep through the night and try to get things going the next day. And then we heard Atticus’ sweet voice from upstairs. 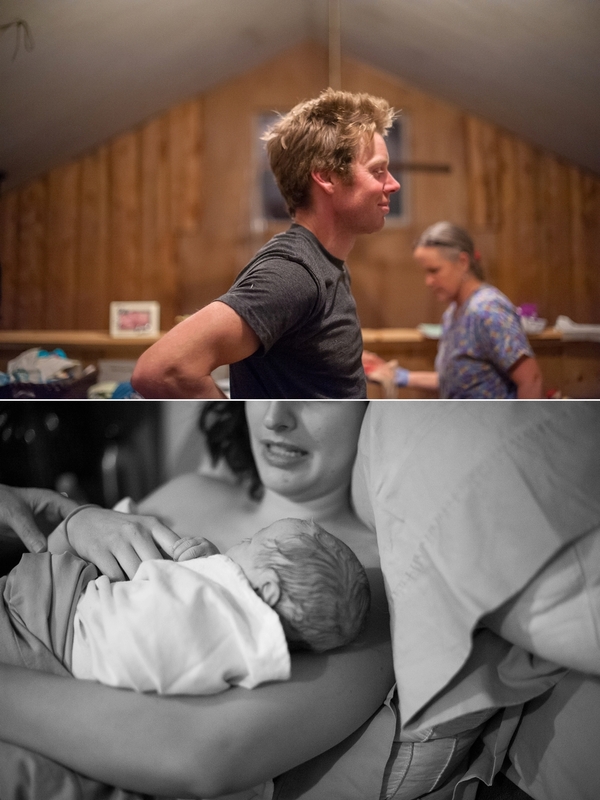 It turns out he’d been born about forty minutes before we got there – which was also twenty minutes before their midwife, Dana, arrived, though she had been consulting with them on the phone as she drove once it became apparent this baby thing was HAPPENING. And so his was a complete surprise, unassisted (daddy-caught, that is) home birth. I’m told his big brother slept peacefully through the birth and groggily emerged when baby noises penetrated his dreams. He got some quick cuddles in and then went to spend the rest of the night with his grandma and grandpa before I got there. Tricia and Adam were basking the glow of their new baby, trace amounts amazed and almost bewildered by the tiny person with opinions so big. To his great credit, Adam was decidedly unfazed by the whole experience; Tricia said that since he was never scared or shocked or panicked about what was happening, she too was able to stay calm and grounded. To be present in that room after such a momentous event was a beautiful thing, and these photographs take me right back that moment. Congratulations, Tricia, Adam, and Aiden, and welcome, Atticus! The world is so glad you are here. To more of Atticus at a ripe old 18 hours old, please see Atticus’ Fresh 48 Session.